but someone has to do it... Which student hasn't dreamed of it? One of your professor lying in the dirt before you? 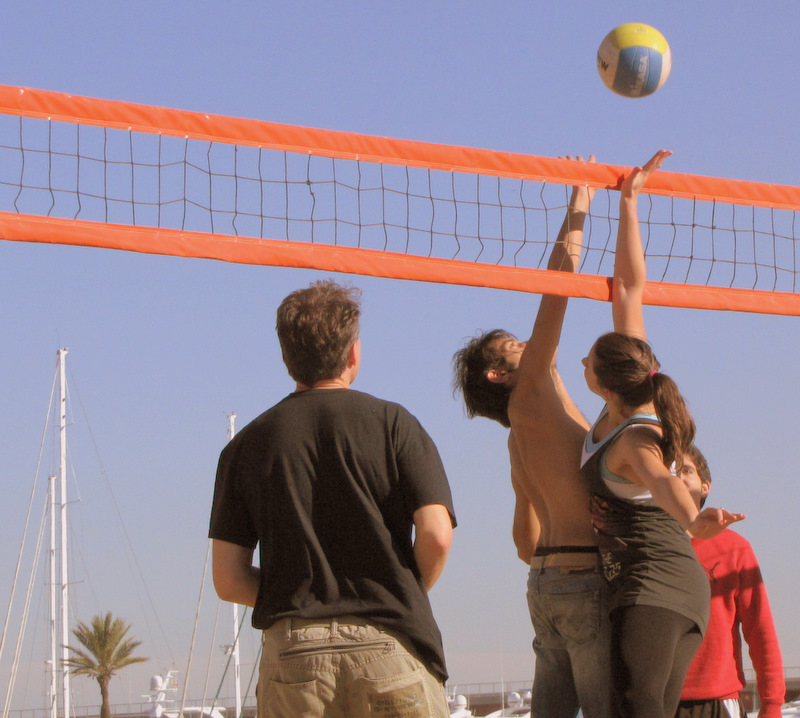 That's what our ITFD students got today at lunchtime, when we played a few rounds of beach volleyball. In the first pic, you can see your sincerely after getting up again, admiring the energy and hand-eye coordination of our students. In the second one, Joonas Uotinen gets ready to slam the ball hard as Rachel Lund passes it back. As days in November go, there are worse things to do at midday!